An attempt to fix your iPhone when it is malfunctioning. An attempt to remove any files that may have been downloaded with viruses. 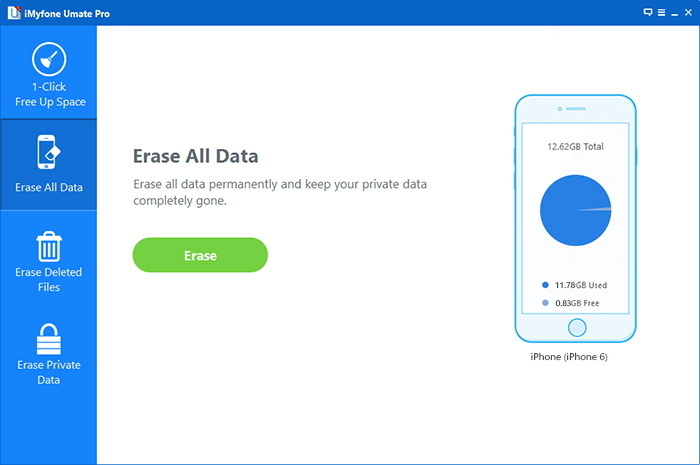 To erase all of your personal data prior to selling your iPhone to someone else. To clear space that may be needed in memory. The iPhone is a bit of a puzzle when it comes to doing this. 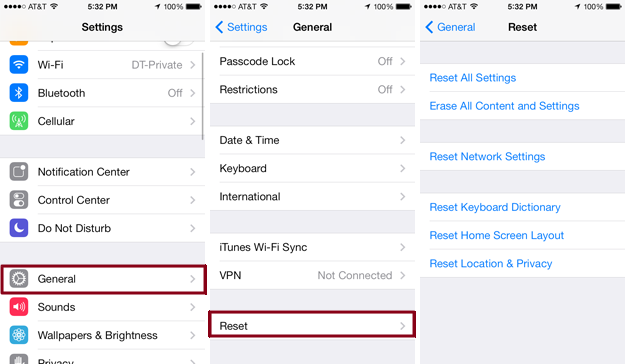 Here are the steps you should take to reset all settings iPhone. Reset All Settings – If you wish to restore all of your iPhone's settings in the keyboard dictionary, privacy and location, network and home screen layout. Erase all Content & Settings – If you wish to not just reset the phone's settings, but also erase all of your personal data saved in the phone. Reset Network Settings – To restore your network's default settings (any saved passwords will be deleted). Reset Keyboard Dictionary – To reset the dictionary you have customized for use. Reset Home screen Layout – To restore back to factory settings the arrangement of icons on the home screen. Reset Location and Privacy Settings – To restore back to default all of your privacy settings and location preferences. Step 3. Enter your passcode then tap the reset button to complete the process. Your iPhone may take some time to restart depending on the reset option you chose. After the process of resetting an iPhone is complete you may successfully be able to activate your iPhone. However, if you face challenges with activation, it is best to wait a few more minutes, since the Apple servers might be down at that time. If this doesn't work, try restarting your iPhone, check the SIM card status, check your network or Wi-Fi issues as well as try activating the phone through iTunes. The data deleted in this way can still be recovered by some recovery tools. For privacy protection, you’d better erase permanently your sensitive data stored on your iPhone, such as accounts and passcode, bank information etc. totally erase the trace so they could not restore by any tool. There is a tool that you can use if you not wish to go through the phone activation process. If your iPhone was jail-breaked, chances are that you may face this problem. iMyFone Umate Pro or iMyFone Umate Pro for Mac is one such software to use to reset all settings iPhone. This software is designed to help erasing permanently your iPhone from a lot of unwanted stuff, saving you on space and protecting your private data, as the erased data cannot recovered by any recovery software. Clean up all of your files that include your account passwords, messages and photos. Permanently delete all of your files, without leaving behind any traces of them, 100% unrecoverable. Find and erase all data that had been deleted previously as well as any existing ones that you wish to erase. You will find that the software operates these three options under four modes: Cleanup, Erase deleted files, Erase all data, and Erase private data. These four options are hat is equivalent to the Reset Button on your iPhone. And all you need to do is to connect your iPhone to your PC and choose the mode “Erase all data” to erase your iPhone, after that, the program will begin to reset your iPhone. When you choose to Reset all Settings iPhone, you will lose all of the data that you saved on your phone, as well as have the default settings restored. This resetting will affect things like your photos, messages and other data that you may have accumulated with your usage of the phone. If this is the option you choose to use but do not wish to lose your data, it is best that you back up the data or sync it up in the iCloud or your computer.